What do we mean by culture? When we talk of transforming the culture of an organization, we are referring to the systems, beliefs and ways of doing things (or not doing things) that live beyond its individuals, yet shape what is possible for them. To compete in today’s global market, a dynamic, healthy organization needs a culture that can adapt to the future. Yet much of what shapes organizational cultures is inherited from the past. It’s unobserved by us – something we have – but we often don’t know where it came from or why. When you walked in the door for your ?rst day of work, most of the organizational structure was already in place. And chances are, much of it did not ?t with how you work or what you thought was possible, sensible, or efficient. For the most part, the culture was never consciously created. It just evolved – with both good and bad aspects – and was anchored by unwritten rules and attitudes. To understand where the workplace culture came from, we need to look at where we came from. Our tradition of business grew out of the production-driven era of the Industrial Revolution. Its mindset was mechanical – focused primarily on prediction and control. All thinking, judgments, strategizing, speculating, planning and implementing were in the service of those two goals. People were told what to do. Fear and power were employed to make them do it. Most of the leadership and management practices of today are rooted in the same discourse. The traditional “command-and-control” style of management and leadership overwhelmingly prevalent for the past 250 years got us where we are now, but won’t get us where we need to be tomorrow. Our world is much more complex than it was in the 1750’s. In order to navigate and keep up with it, we need partnership – the sharing of ideas and trust. Today, businesses must be organic in nature – learning and changing, growing or shrinking as needed. The building of relationships, alliances, networks and partnerships is needed to maximize business opportunities with other individuals and organizations, each contributing a speci?c expertise or competence. Culture change involves unearthing an inherited, unobserved culture so that we can recognize and take responsibility for what is not working and capitalize on what is. Organizational leaders who are committed to culture transformation recognize that the people in the organization have far more to offer than its existing structure allows. They recognize that if they want a company that enables creativity and learning, they will have to create it. Once a leader commits to creating a participatory culture that values and nurtures the contributions of all its individuals, there are distinct aspects that must be addressed and nurtured multi-dimensionally to produce the desired transformation. Learning, the embodiment of new actions, takes time, and culture change processes involve going through many stages of evolution. 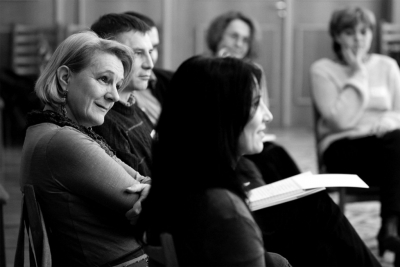 Organizations need to learn new competencies in communication – both speaking and listening. Then they need to go about healing past relationships and co-creating aligned commitments for the future. While Roundstone brings training, coaching and facilitation to this process, our clients are the ones who exhibit the courage to initiate a change and the patience, practice and perseverance to undergo it. What Does It Take To Be A Leader Of Culture Transformation? Sylvain-Yves Longval, the manager of the Sheldon Division of Abitibi Consolidated Inc. in Houston, Texas found out over the past year. He’s been navigating mill employees through the landmines of a severe market downswing and their own attitudes. 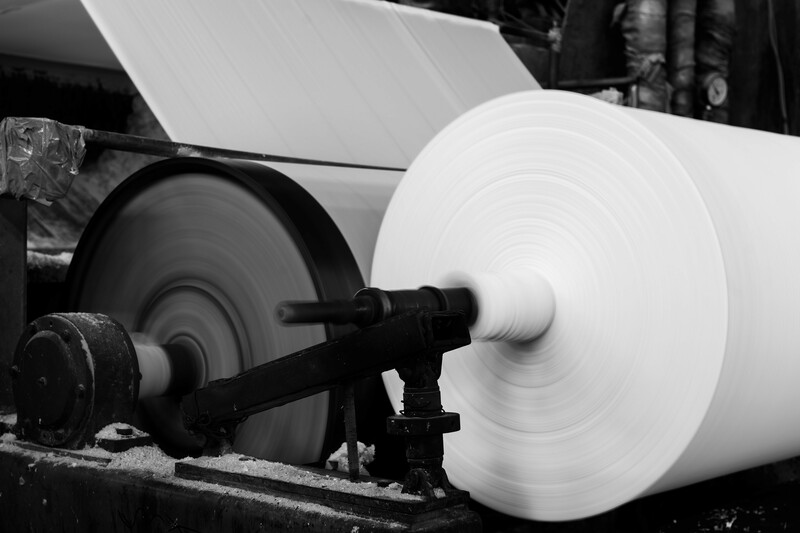 In the 21st century paper industry, competition is ?erce and only low-cost mills survive. Sheldon has not been one of them. In fact, the mill has been bought, sold and restructured repeatedly in an effort to make it low cost. By Sylvain’s arrival in March 2001, its ranks had been reduced from almost one thousand to 459 over two years. And by then, Sheldon Mill employees were at a crossroads; the mill was still not viable in the current economic environment. “They had to choose between continuing on the same track, being blind to the world’s changes and going down the tube, or making bold changes in an attempt to build a long-term future for the people of Sheldon,” says Sylvain. But the idea that they even had a choice was one that took some convincing. The people of Sheldon, like those in many organizations, did not see themselves as having sufficient knowledge or responsibility. They felt subject to the whims of the market and their parent company. Sylvain, a former hourly front line paper worker who worked his way up through the industry, didn’t know how to affect change either. But a deeply held passion for learning gave him the impetus to try. After all, this is a man who learned three languages, earned a degree in forest engineering, and garnered experiences in human resources, organizational consulting and manufacturing performance management. The company also made hard decisions. By last September, Sheldon was looking at 12 weeks of downtime by year-end, which meant lost wages and lost pro?ts. Sylvain and his management team decided to shut down machine #6, one-third of the plant’s capacity, inde?nitely, as a measure to match production with sales in a dif?cult market. This involved laying off another 109 people. On Oct. 2, as people returned to their shifts from the closure, they ?rst gathered under the blue and white tent erected in the parking lot to hear Sylvain personally announce to each group the decision to shut down machine #6. Unlike previous layoffs that dragged out for months, Sylvain promised the process would be complete in 60 days so that people could move on. By now, many leaders would have reigned in employee training and involvement in decision making, not implement a culture change process. But not Sylvain. He turned the crisis into an opportunity to deepen the trust and partnership he had started to establish with employees. In December, Sylvain scheduled a two-day training with Roundstone for the remaining 350 employees. This training marked a turning point for the mill, a time Sylvain describes as “wiping the slate clean”. During the training, employees learned about their place in the history of organizations, and Sylvain stood in the center of the room and ?elded questions about rumors, distinguishing between fact and story. This process of “cleaning the slate” was immensely important. By the end of the training, a shift had occurred. “Enough energy, trust and momentum had been built that the employees of the organization moved from being ‘pulled’ toward culture change to beginning to push for it on their own. People were ready to take some risks and see what would happen,” says Sylvain.